One of the topics under the GED Science Test is Earth Science. It covers the four spheres of planet earth. The Earth, the planet we call home, how much do you know about it? Sure, you know that it looks like an imperfect circle, a little flat at the top and a little bulged on the sides. You know about the sea and the sky and about the land that you stand on. But there is more to our home planet than those things. For example, have you ever wondered what is in the center of the earth or what it’s called? And most importantly, will you be able to answer if this topic appears in the GED test? All these questions will be answered once you understand the earth and its four spheres – lithosphere, hydrosphere, biosphere, and atmosphere. All the four spheres of the Earth, the lithosphere is one of the most mysterious. What’s ironic is that it is also the sphere where we live. 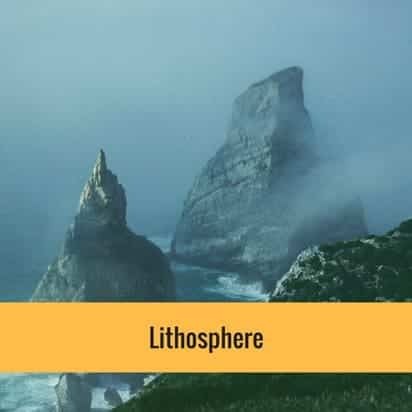 The lithosphere is composed of the crust, the mantle, and the core. The crust is composed of soil and rocks and those buildings we built on it. The crust is more or less 40 kilometers in thickness. Below the crust is the mantle which is a giant river of molten rock and silica flowing under the crust and over the core. With a thickness of about 2,660 km, the mantle’s movement inside the earth is so strong that it could move big continents at its will. The continents of the planet float helplessly on the mantle and when these big pieces of the crust collide, you will experience an earthquake. The mantle is also the main actor in the creation of volcanos. Below the crust is the outer and inner core. Rotating in the absolute center of the earth in opposite directions, the inner and outer core power up the processes that make our planet dynamic and supportive of life. Without the core, we would have less gravity. Without the core, the processes that created the conditions that started life would not exist and we would not be here. The core also creates the magnetic field that protects the planet from harmful radiation from the sun and other sources. The most amazing thing about the core is that scientists say it spins 5,000 times faster than the spin of the earth. Imagine how fast that is. 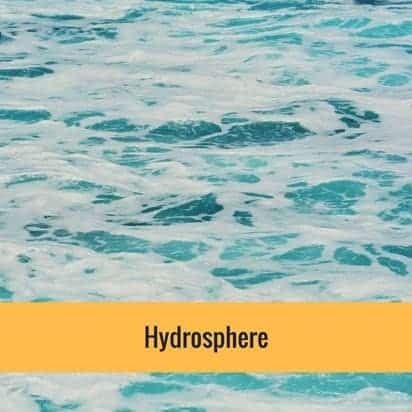 The hydrosphere is composed of water in all its state – liquid, solid and gas. That means the seas, oceans, rivers, and lakes, as well as water underground all, belong to the hydrosphere since they are water in liquid form. Glaciers, icebergs and the snow piling up on the road during winter is part of the hydrosphere as a solid form of water. Finally, the water vapor, steam and clouds being the gas form of water are also part of the hydrosphere. The thickness of the hydrosphere extends several kilometers into the lithosphere and 12 or more kilometers into the atmosphere. 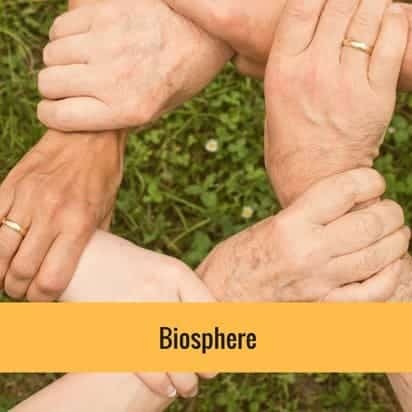 The biosphere consists of all living things on the planet. From the lowly bacteria under the earth’s crust to the fierce lion stalking in the savannah to the human beings living on the international space station in space, as long as something is living, it is part of the biosphere. Within the biosphere, living organisms live and build their own ecological communities based on the ecosystem they are on. These communities are called biomes. The biosphere extends to wherever a living thing is found. The most popular among the four spheres of the earth is the atmosphere. Extending from 1 meter below the ground to ten kilometers above ground, the atmosphere has a very big influence in human life. 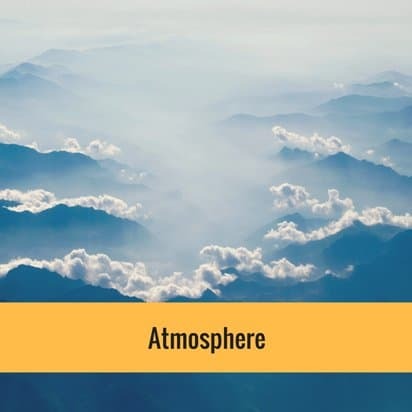 First, it is important to acknowledge that the atmosphere refers to air including the oxygen we breathe and the various gases that make up air. The more carbon dioxide we release into the atmosphere, the less oxygen we breathe. But that’s not the only way the atmosphere affects us. Weather and climate are conditions affected by the atmosphere. The wind you enjoy or the tornado that you fear, are all created in the atmosphere. The atmosphere is also at the receiving end of human abuses. Every time you burn something, the smoke (carbon dioxide) goes up into the atmosphere and makes it dirty. Every time you drive your car, it releases various gasses that go into the atmosphere. As the atmosphere is filled with pollution, humans experience acid rain, smog, and extreme weather conditions. In the end, whatever we do to the atmosphere will come back to bite us in the hand. The lithosphere, the biosphere, the hydrosphere and the atmosphere make up the planet we call home. We affect these spheres, in the same way, affect us. Now that you know the four spheres of the earth, you will be able to answer when it appears on your GED test. Learn more about it by signing up for our GED online classes and taking GED science practice tests.